'Ezogelin' (EZ'-oh gel-EEN') soup is a hearty and delicious Turkish soup made with red lentils, rice, bulgur, pepper paste, and Turkish spices. It comes from the southeastern region of Turkey, and it's a great example of Turkish regional cuisine. 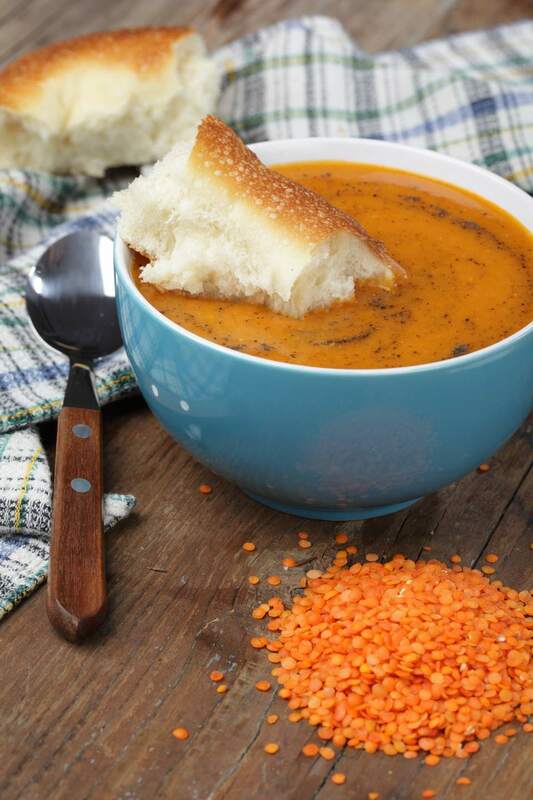 'Ezogelin' soup is similar to Turkish red lentil soup, but it is not strained through to make a smooth, creamy texture. The rice and bulgur are left whole or to cook in the soup, giving it a unique texture. Melt 3 tablespoons of the butter or margarine in a large, covered saucepan. Add the onion, and fry until it becomes translucent and very tender. Next, add the flour, and stir until bubbly. Be careful not to let the flour brown or burn. Mix the pepper or tomato paste with 2 tablespoons of water, then add to the flour. Stir until well combined. Next, slowly add the beef broth while stirring. Continue stirring the mixture over high heat until it comes to a boil. Wash the red lentils, rice, and bulgur together in a fine wire strainer until the water runs clear. Add them to the boiling mixture. Add the salt, then reduce the heat, and cover the pan. If you are using bouillon, you may need to reduce the added salt. Let the soup slowly simmer until the rice and bulgur are very soft and the lentils have fallen apart after about 20 minutes. Melt the remaining 1 tablespoon of butter in a small skillet or pan. Add the hot pepper flakes and mint, and stir over the heat for a minute or two. Then, stir the butter and spices into the soup, and let it simmer a few minutes more. If the soup seems too thick, add a little more water or broth. Adjust the salt and spices to your taste. Serve a slice of lemon along with each bowl of soup as a garnish. You can also place small bowls of red pepper flakes and mint on the table to sprinkle on top of the soup. Enjoy!